THE term ‘expensive’ is so elastic that it’s hard to pin down exactly when anything crosses the line and becomes worthy of the term. An M&S smoked salmon sarnie might be expensive to some, while simply strolling around some of London’s smarter areas shows that there are plenty who reckon a Lamborghini is cheap enough to be used as a day-to-day inner-city commuter vehicle. Price is about as subjective as it’s possible for anything to be. So, what classes as an ‘expensive’ bike? In this list we’re steering clear of the crazier end of the market, populated by bikes so rare they might as well be purely theoretical. Sure, it is probably possible to actually buy a Vyrus, an Ecosse Heretic or an Icon Sheene, but the reality is that these are more like built-to-order specials than real production bikes. You’re about as likely to find one for sale in your local dealer as you are to stumble across a unicorn in a donkey sanctuary. 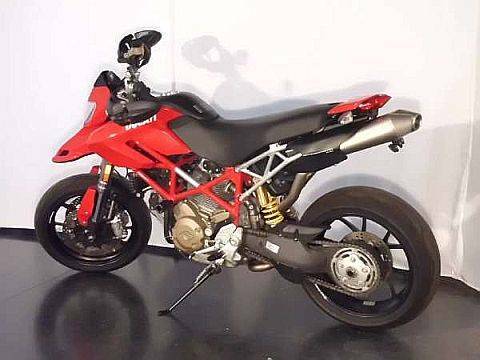 Other manufacturers, like Bimota and Confederate, also miss out thanks to a lack of widespread UK availability at the moment. No. We’re talking proper production bikes here. Ones that you could actually buy through a dealer in the UK. The list isn’t populated purely with Italian exotica; even Japanese mass-made models make it. In fact, the majority of ‘expensive’ bikes aren’t actually all that crazily priced after all; given the hackneyed “You could buy a car for that!” comments usually associated with expensive bikes, it’s worth noting that most on this list only cost as much as a well-spec’d Mini Cooper S, or less than a bottom-of-the-range BMW 3-Series. So, silly money or surprisingly reasonable? You decide. 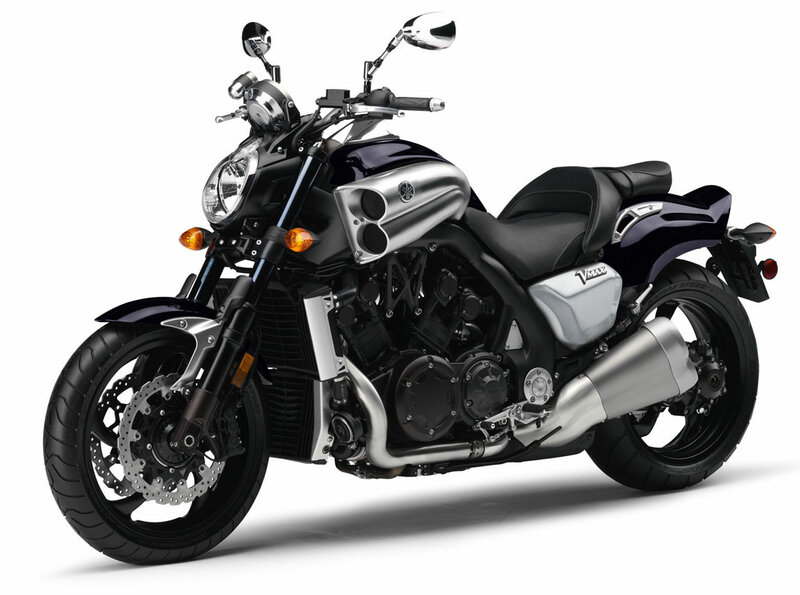 YAMAHA’S V-Max is something of a legend in its own right, and whilst never a big sales hit there’s no denying that the latest version – complete with a nearly-200bhp V4 engine and love-it-or-hate-it styling – is going to get you noticed. But would your friends guess you’d spent that much on it? We reckon not; it’s hard to align any Japanese bike with the idea of £20,000-plus and the V-Max, despite it’s ‘wow’ factor, struggles to justify it. Bear in mind that a Ducati Diavel starts at £14,995 and even the Diavel Carbon is only £16,750, and it’s easy to understand why you don’t see many V-Max's around. 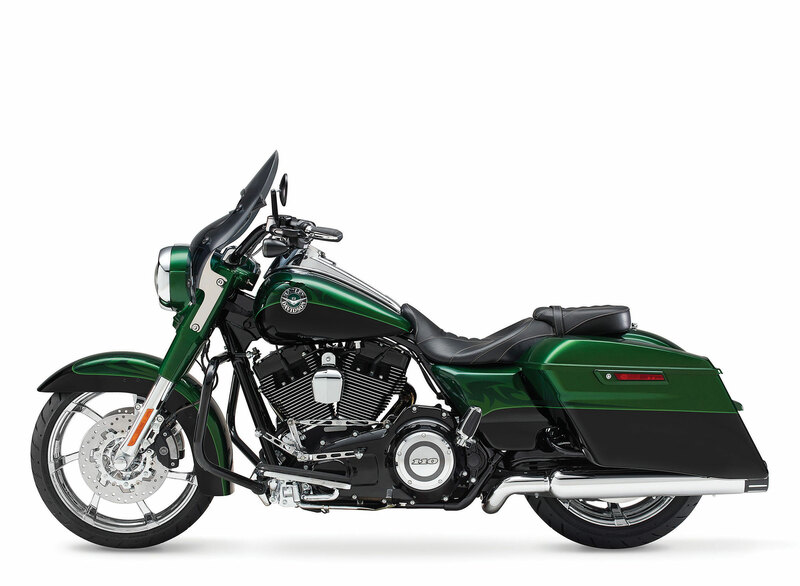 ANOTHER from Harley's CVO range of factory-made customs. 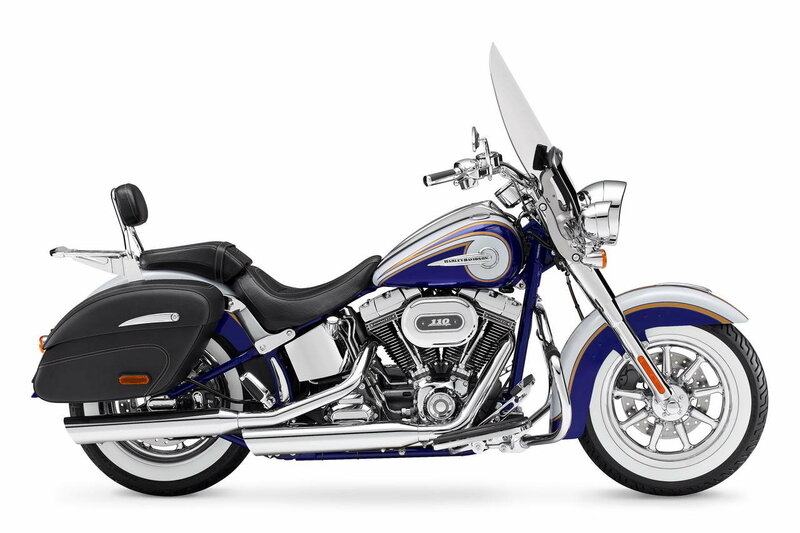 The CVO Breakout is the cheapest of the range, not that you’d guess from looking at it’s over-the-top paintwork and acres of chrome. To be fair, we can see the attraction if this is your kind of thing, but isn’t the whole point of a customised bike the fact that it’s unique, not something that’s come out of a factory alongside rows of identical machines? MAYBE it’s just us, but whenever a bike’s ‘key features’ list mentions its ‘hand-tooled leather seat’ we start to wonder if there shouldn’t be something more important to talk about. When you’re spending over £23k you want to be able to justify it to the missus and your mates, and we’re not sure that ‘feel the leather’ is going to cut it. 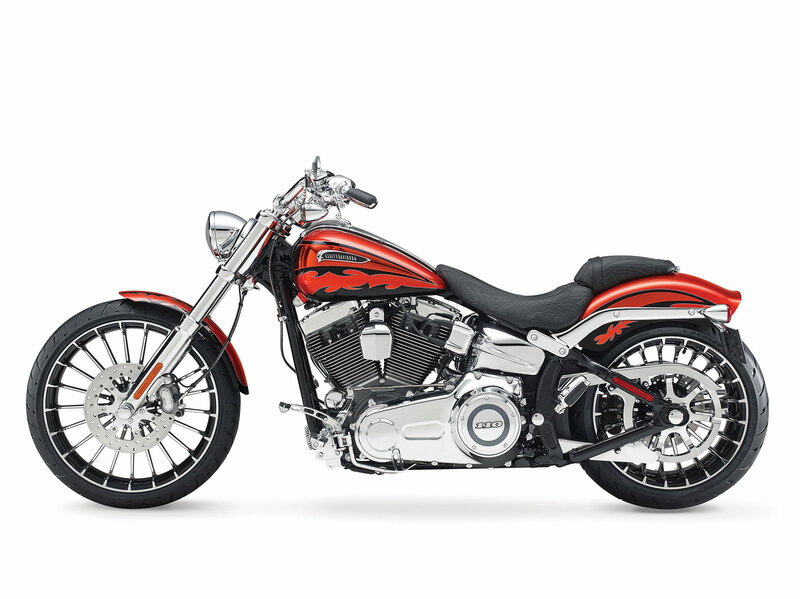 As with all Harleys, though, it’s hard to argue with the residual values; even years down the line, you’ll still be likely to get most of your money back when you sell – and that doesn’t apply to every bike on this list. LIKE the CVO Harleys, Goldwings aren’t really aimed at ‘normal’ motorcyclists. It takes a particular mind-set to own and ride a Goldwing, one that’s perhaps difficult for a lot of riders to understand. But there is an attraction to these things. 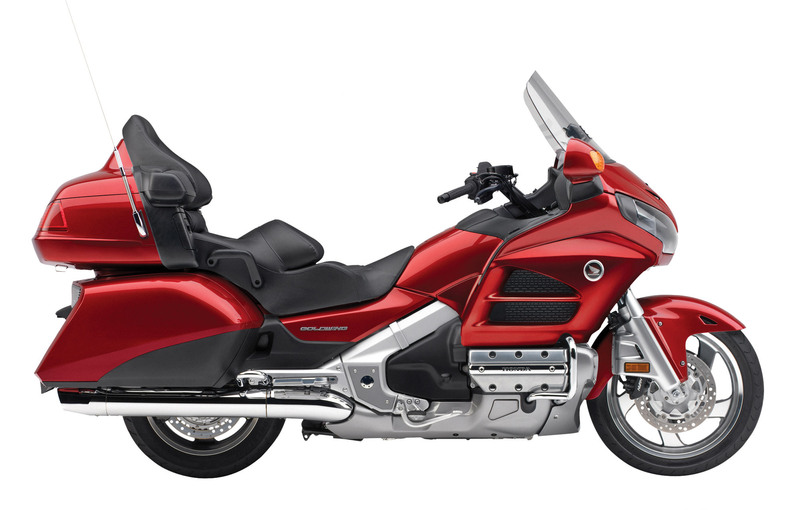 They’re not fast, and the basic design is now well over a decade old, but the sheer size and luxury of a Goldwing is appealing in its own way. 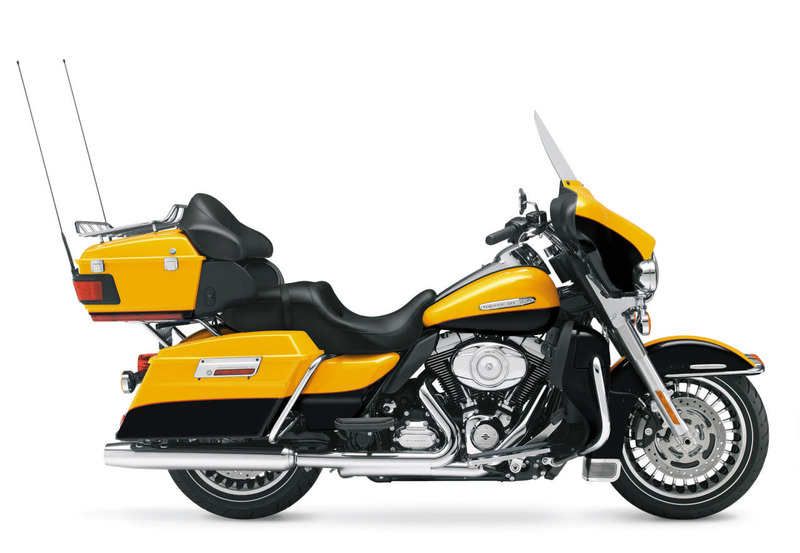 NOT one for the shrinking violets among us, the CVO Road King errs towards the garish end of the Harley line-up. To be fair, you can get it in a more subdued hue if you so desire, but why would you? It’s becoming a theme here, but again this is a bike that appeals to a specific type of rider, not the sort of thing the average bike owner is likely to aspire to. The fact that we’re into the top five and still haven’t hit £25k is an interesting reflection on how few truly expensive bikes there are in the UK market, though. EVERY bike so far has been either a tourer or a cruiser, but it was inevitable that a high-end superbike would make an appearance eventually. 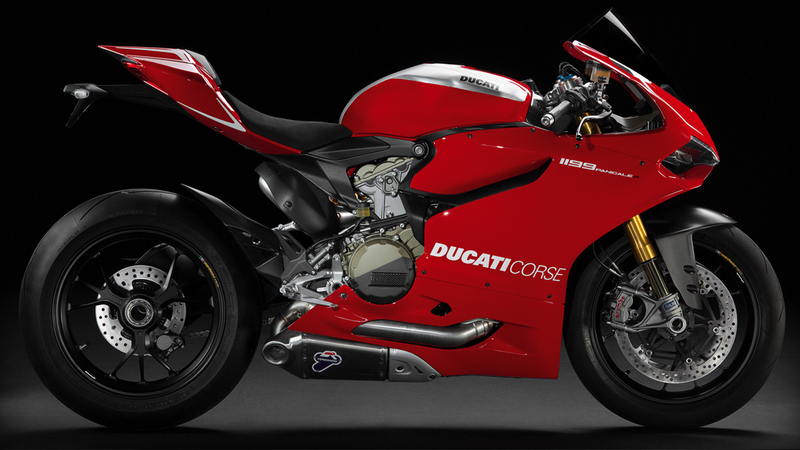 And the Panigale R is that machine. There’s no doubting its desirability or sheer ability, even if most of us are already out of our depth on the stock Panigale, which is more than £10k cheaper. As is so often the case, the argument for the more expensive model doesn’t end with its sheer performance or drool-worthiness, as ‘R’ model Ducatis are almost sure-fire future classics, so tend to hold their values well. The only problem with the Panigale R is that it’s not the most exotic version of the Panigale – something that could diminish its classic status later in life. WE were undecided about including this one. After all, it’s got one wheel too many, and to most of us that means it’s appeal drops through the floor. But you can ride it on a bike licence, buy it in a bike dealer and the man on the street will associate it with bikes rather than cars, so it’s in. 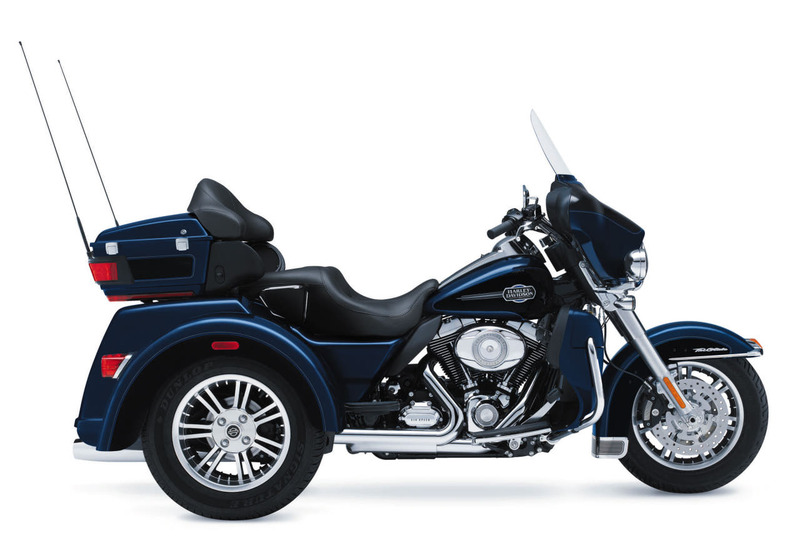 But really, £27,895 for a three-wheeled Harley? In America these things sell surprisingly well but they’ve never been offered over here before. Will there be a big take-up? We’d be surprised, but Harley clearly thinks it’s worthwhile and must have researched the market. THIS is the CVO version of the bike that made number 10 on this list – but costs £8,500 more that that machine. 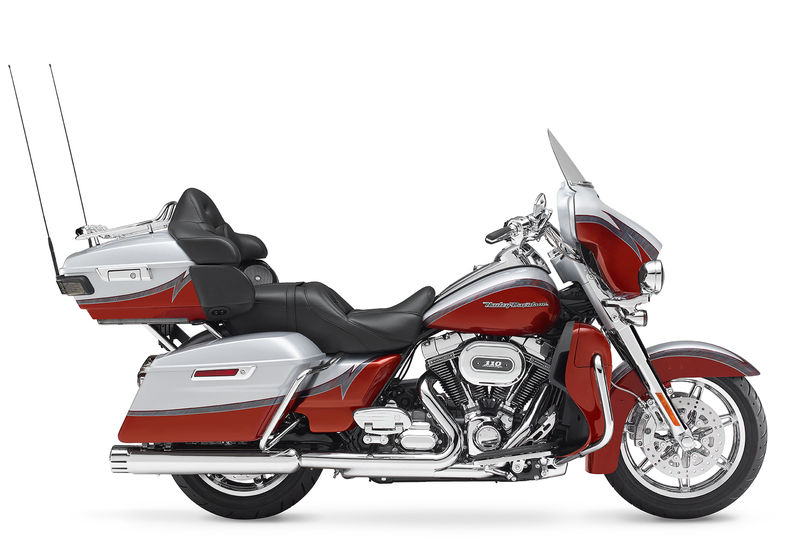 As well as CVO paintwork and all the usual extra bolt-ons and chrome bits, it gets the 110 cubic-inch version of the Project Rushmore 'twin-cooled' engine (the cylinder heads are water-cooled) instead of the stock 103 cubic-inch version. That’s 1800cc instead of 1690cc when translated to European. That should translate to a useful performance boost, even though outright speed isn’t really what this bike’s about. Is it worth nearly £30k? Buyers will no-doubt think so. In fact most are likely to bust the £30 mark by adding even more options. THE new Ducati 1199 Superleggera (don’t call it a Panigale…) nearly missed out on this list; only 500 are being made and they’re being offered to existing owners of Desmosedici RRs and earlier R model Ducati superbikes. But since most people who are likely to be interested in such a machine probably meet those criteria, and any unsold Superleggeras will be offered on general sale, it just squeezes in as a bike that ‘anyone’ could buy. Of course, that ‘anyone’ needs access to £54k, or the equivalent of two-and-a-bit Panigale Rs. Yes, the Superleggera is sure to be awesome, but over here the general consensus is that our imaginary money would be more likely to go in the direction of a lightly used Desmosedici RR. Who cares if it’s slower, that MotoGP-derived styling and V4 engine wins us over. For real buyers, though, that’s unlikely to be an issue. They’ll have both.